Sleeping in a crashed car in the woods, Morgan awakens peacefully with a smile on his face, staring at a lucky rabbit’s foot. While making breakfast, he is surprised by a man with a gun and a “w” on his head. The man describes the purpose behind the w’s and his ventures around the area. The man threatens Morgan as he describes his clan identifying as wolves. Morgan attempts to lobby for his life. Morgan jumps as another man appears out of the bushes, grabbing a staff and taking down both of the men, and eventually a walker as well. He loads the two unconscious men up in the car and honks the horn, leaving with his rabbit’s foot and the rest of his belongings. Daryl rides his chopper down the road with Aaron traveling close behind. They venture out into the woods. Back in Alexandria, Rick awakens covered in bandages and stuck in a room with Michonne. Rick recounts his time with the train car back at Terminus. Michonne challenges him regarding his crazy actions while updating him about Pete. She tries to convince him that they had to stop being out on the run all the time. Glenn, Carol, and Abraham show up and question him about where he got the gun. They let him know that there is a meeting about Rick’s fate. Rick tries to devise a plan if everything goes south. Glenn questions Rick’s intentions, while Michonne is skeptical of the planned violence. The group leaves him to rest. Maggie spots Gabriel from a distance and then goes out to talk to Deanna. Maggie explains that Deanna needs to reconsider the meeting. Deanna appears to be very frazzled about the events of the previous day, which frustrates Maggie and causes her to storm off. Reg catches her and tries to talk about civilization and how he will approach the meeting later that evening. Outside the walls, Sasha cleans up her mess of slain walkers, taking them out to a burial pit. Standing over the bodies, she takes a moment to observe her mess, then taking a moment to lay on top of the pile. 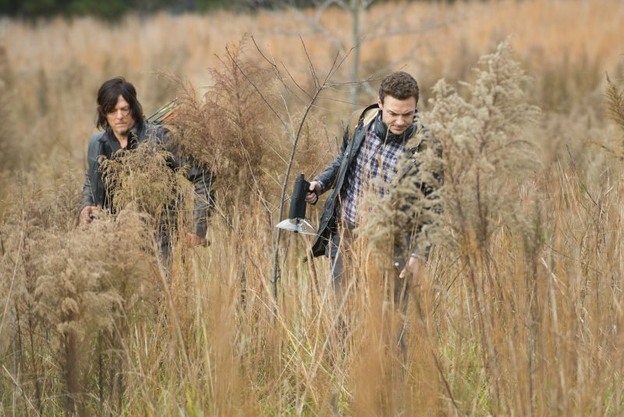 Daryl and Aaron continue to track for other survivors. Aaron talks about Davidson and the others that Alexandria sent away early in their civilization. Carol returns to Rick and wakes him from his nap. She admits that the previous events were actually helpful to their cause, but she is concerned over Michonne’s and Glenn’s commitment. To help Rick wise up, she challenges him on his desire for both honesty and control. Aaron and Daryl spot a man rubbing dirt on his face. They slowly start in pursuit. Rick exits the house and sees some of the Alexandrians. Walking by Deanna’s he stares her down. In another part of the town, Maggie meets up with Glenn with Nicholas watching in the shadows. Maggie tries to explain that she wants to take care of it diplomatically. Though worried, Glenn just tells her that he loves her. As she leaves, he spots Nicholas climbing over the wall. Gabriel goes to the gate and leaves without a weapon. Rick goes home and meets with Carl. He explains that Carl cannot come to the meeting, to which Carl tries to highlight that they need Rick. While Carl tries to convince him that violence is not needed, Rick still cannot see another way. Later in the afternoon, Carol stops by Pete’s house to bring over food. She threatens him with a knife and explains how she could get away with it. She eggs him on for a moment, but he chooses to stay put. She explains that the outcome still allows him to survive. She leaves and he drops the casserole, then walking into the other room breaking stuff. Glenn follows Nicholas further into the woods, finding a dead walker just before getting shot in the shoulder. Nicholas comes running out of the woods but cannot find him. Rick stops by Jessie’s place to check on her. She admits that he was right to try to help her, but they are unaware that Pete is watching them from his house in the distance. With the walkers still surrounding them, Daryl admits that he still feels wrong for Alexandria. Aaron admits that he saw something different in Daryl, in the way that he cared for his people at the barn. Daryl agrees to let the walkers chase after him and let Aaron get to safety. Aaron refuses to let him go alone to his death, but instead that they have to fight together. Just before jumping out to certain death, Morgan appears and saves them. Morgan admits to being lost and hands over the map with the message from Abraham to Rick, catching Daryl’s attention. Gabriel wanders out toward the road, finding a walker on the other side and getting its attention. He walks toward it, seemingly sacrificing himself. Just before he let the walker finish him, he notices the noose and slices the walker’s head off with it. He then walks over to the other body and smashes its head, slowly breaking out into a whimper. Abraham returns to the house to find Eugene resting by Tara’s bed. Rosita invites him in before he decides to walk off. She purposely creates noise to wake up Eugene, forcing the two to finally confront each other. Eugene tries to rationalize the situation and compel to Abraham’s good nature, which seems to work. Gabriel returns to Alexandria with a deadened look in his eye. The gatekeeper walks off, leaving Gabriel to close the gate. He shoves it closed but lets it stay cracked open. In the woods, Nicholas finds a walker and shoots it, letting Glenn get a drop on him. After wrestling for a moment and taking advantage of the shoulder wound, Nicholas lets a set of walkers pile on top of him and leave him to his death. Michonne goes to check on Rick to see if he is ready. He admits that they had multiple guns from the armory and tries to hand it back. She admits that she hit him for him, not the people of Alexandria. She tries to convince him that they can find a way to correct their situation if they just let something happen to let his group rise to the occasion. Rick goes to prepare for his meeting, wrestling with the potential actions he must take for his survival. Looking out the window, he notices the gate open. Running out to check on it, he sees blood and a trail leading from the outside in. He shuts the gate and rushes to check on the town. Gabriel enters the house of worship and finds Sasha sitting by candlelight. She asks him for help, but he refuses. She admits that she might want to die, to which he blames her for her own suffering. She blames Bob’s mutilation on her failure to be good. 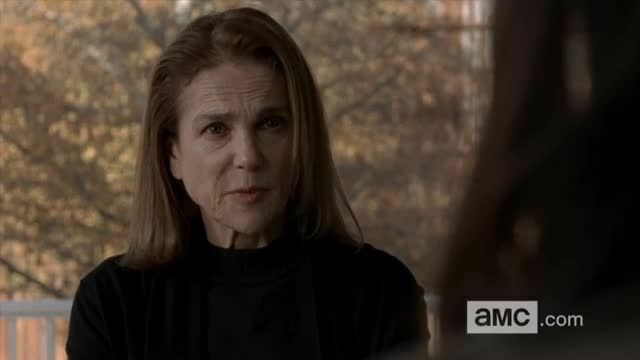 The town gathers for the meeting, but Deanna decides to start without Glenn and Rick around. She frames the conversation away from the fight but toward the issues she has with Rick. Carol and Michonne try to get her to wait for Rick to arrive. Elsewhere, Rick runs through the town searching for danger. Around one of the corners, he finds a walker and begins to wrestle with it. Back at the meeting, Michonne jumps to his defense. Rick continues to fight walker after walker, while Sasha and Gabriel battle over her gun. Outside the wall, Glenn catches up to Nicholas, knocks him down, and begins to working his fists on his face. Carol continues the defense of Rick, claiming that they need him. Abraham offers his opinion as well. The Wolves capture the man that Daryl was tracking, taking him to the trap of walkers. Welcoming him home, they slit his throat and let him drop to the ground. Maggie continues Rick’s defense, appealing to his fatherly tendencies of safety and love. She highlights the importance of family for his group. Deanna finally speaks up for the sake of transparency about Father Gabriel. She highlights the fact that Rick proved Gabriel’s words just one day later. Glenn pins Nicholas down on the ground and place a gun at his forehead, while Sasha has Gabriel trapped at gunpoint as well. Rick reappears at the meeting and brings a walker with him, dropping it on the ground. Nicholas begins to cry on the ground, causing Glenn to hesitate and take the gun away from his forehead. Gabriel begs Sasha to shoot him, but Maggie walks in and gets her to drop the gun. Gabriel begins to break into tears, admitting that his congregation died because of him. Rick tries to finally state his case. He tries to appeal for the community’s desire for safety and the evil that exists beyond the walls. He offers to show the people how to survive, admitting that he first thought that he would have to kill them to save them. He appeals for a chance to make them stronger. Pete suddenly shows up and threatens Rick with Michonne’s katana. Walking toward the group, Reg tries to stop him and gets slashed in the throat. Deanna runs to Reg’s aid and tells him to kill Pete. After pulling the trigger, Morgan shows up and catches Rick’s attention. Michonne goes to return his sword to the wall but chooses to place it back on the heath over her shoulder. Reaction: Wow…the 90-minute episode did not disappoint. Walker attacks were abundant and the intensity seemed to get higher with each moment. The episode represented the readiness for the harsh world between the Alexandrians, Rick’s group, and the newly introduced Wolves. While the Wolves seem to just be going around killing people, the other two groups are trying to survive by their own means. For the Alexandrians, they tend to be preferring the oblivious approach to survival. If they stay in the walls, they do not need to know about the dangers outside. It isn’t like they don’t know about the dangers of walkers, but they have failed to see the same dangers that Rick’s group has seen. Aaron may be the only one who gets it, which makes the meeting of Aaron, Daryl, and Morgan a great opportunity leading into next season. 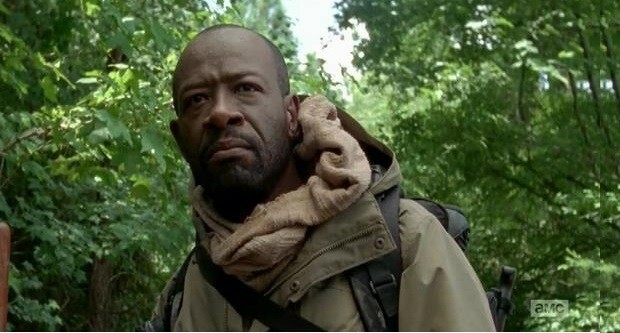 Morgan has been on his own looking for Rick, the only man he knows, but has also developed on significantly impressive survival skills. The way that he dispatched the two Wolves was stellar. Saving Daryl and Aaron was just icing on the cake. Each of them are searching for survivors and ways to continue to strength their numbers. Glenn and Maggie appear to be trying to take control of things from different angles. While Maggie attempted to be diplomatic with Deanna and the rest of the town, Glenn has been focused on Nicholas, the death of Noah, and the dangerous way that Alexandria has dealt with the dangerous world outside. There was a lot playing against both of them. For Maggie, Deanna seemed to be taking Gabriel’s words to heart more than the actions of Rick’s group being stronger and more supportive than her own people. Glenn, on the other hand, went on a rampage on Nicholas and survived a serious walker attack without seemingly having weapons at his disposal and a gunshot wound to the shoulder. 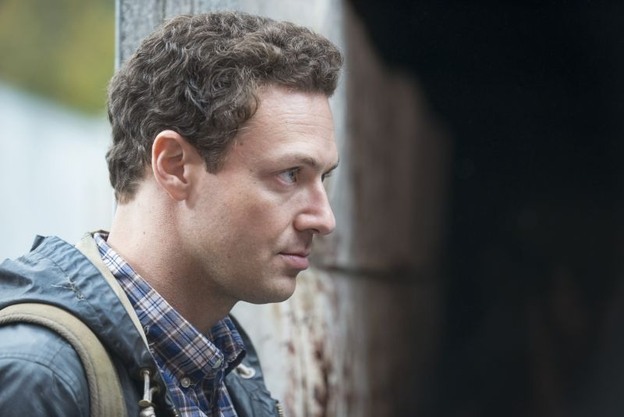 Letting Nicholas survive was just in Glenn’s nature, but it will be interesting to see how the town deals with this when the two of them return. Gabriel is an idiot…enough said. For Sasha, though, she is clearly cracking up and almost got to a breaking point. One moment, she was ready to submit herself to the dead by laying in the walker grave. The next, she was ready to kill Gabriel. She will need to be dealt with because she is becoming a bigger and bigger danger. Considering that she went o Gabriel for help, she may be getting close to the end of her rope. And then there was Rick… After exploding during the previous episode, Michonne saved him by knocking him out before he took it too far. His outburst did force the community to confront their issues with his style of justice compared to Deanna’s. the entire episode, he was ready to go postal at the meeting to take over the group, even with everyone else trying to appeal to his more politically savvy side. He has proven his ability to be diplomatic in the past (with Hershel and the attempt with the Governor). He was overly focused on violence being the answer that he almost missed the true beliefs of the rest of his group, even if they would have supported him otherwise. It was somewhat lucky that he had the walker body to use as a prop to prove his methods, but it appeared that he was planning to take a more peaceful approach anyway (even if the gun was behind his back). Morgan is back and part of the group. Rick has proven his worth and gotten Deanna’s praise. Glenn was able to survive Nicholas. The Wolves are hovering in the background. Season six is going to be a blast! *Announcement: I am planning to do some more discussion of The Walking Dead during the 5 to 6 season break and I will also be reformatting my method for blogging in the next season. I started with this synopsis-reaction-in memoriam set up, but the synopsis seems to take away from the actual blog entry. I also am both trying to watch the episode and blog at the same time, when I would like to enjoy each episode a little more directly. In addition, Fear the Walking Dead will be starting this summer and have no canon to pull from, which means that I will actually be fully blogging without a comic to spoil some of the storyline. Exciting times are ahead.